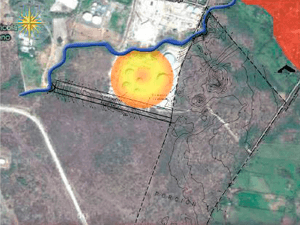 Rapid identification of major problems and / or environmental benefits of the proposed site of the project, analyzing: atmospheric dispersion, current air quality, socio-economic aspects, feasibility of services, biological aspects, among others. This study serves to incorporate environmental design criteria and alternatives for selection of project design and / or location, when done to several sites. Design at feasibility level (no detailed engineering) to complement environmental studies, once incorporating protection criteria and environmental risk. For infrastructure projects, urbanization, tourism, fuel terminals, power plants, among others. Whole plant design, main drains, and fire system is performed, considering good environmental practices, urbanization criteria and national and international regulations. Design of urban development, where conservation, protection and ecological recovery concepts are applied, achieving an equilibrium and integration with the environment. Design of exploration program, considering stages, recovery and subsequent use of the site, protection zones, sterile handling, and waste considering the environmental variable. Preparation of documentation to obtain concessions and licenses, and process management.